Are you looking for the best Portland SEO companies? Look no more. Here you will find over 20 of the best SEO agencies situated in the technology epicenter of the Pacific Northwest. We’ve compiled our list of the best companies using our process-oriented evaluation methodology with the ultimate goal of helping you find just the right fit for your business. At Mad Fish Digital you will get innovative solutions to the most challenging SEO problems. Its team specializes in using the latest SEO tools and keeps up with changing trends in order to develop a data-driven strategy tailored to your specific business objectives. Daylight is a full-service agency that helps companies create a brand presence that encompasses all aspects of digital marketing, including business development and product education. Additionally, its experienced team prioritizes communication and collaboration with clients. Thrive Internet Marketing Agency is a full-service digital marketing agency. They offer a proactive, client-driven approach with thorough and regular progress updates. Furthermore, this SEO company has unrivaled customer support and attentiveness. Doorbell provides unpretentious and results driven SEO services to local and enterprise level businesses alike. Their goal is to bring in enough organic traffic, leads, and consequently, revenue, to justify paying us each month. Midas Marketing is a new-school SEO company offering transparent pricing, clear deliverables, no long-term contracts, and proven results. Based in creative Portland, OR, this is one of the best digital marketing agencies that offer everything from SEO to web design. Sq1 is a data-driven, full-service SEO agency that activates customer data to drive sales and maximize clients’ ROI. Their marketing solutions are strategic and creative, and on top of that, they provide insight into every step of the process. Founded with one goal—to solve complex web challenges—Adpearance combines team expertise with cutting-edge techniques that drive businesses forward. They use a unique intelligence platform and data-driven communication to ensure success. Obility is a data-driven digital marketing agency focused on creating and optimizing websites that help businesses increase revenue. Additionally, they build long-term relationships with clients based on transparent communication and consistent reporting. The team of Portland SEO experts behind Sproutbox Media combines experience, talent, and tools to help clients grow their customer base, as well as increase revenue and improve ROI. They always put their clients first, providing unique strategies and total transparency. Mambo Media brings a pragmatic approach to marketing practices. Their success starts and ends with data measurement, which helps them provide the best services for specific business needs. They partner up with their clients, nurturing long-lasting relationships and future growth. Intuitive Digital is one of the best SEO companies in Portland. It offers forward-thinking strategies and a flexible, collaborative approach to fit the needs of both small and mid-size businesses. Additionally, it’s cost effective and ensures a high ROI. SEO is the main focus of Oregon Web Solutions. They use proven tools and tactics to attract target audiences and boost conversions. Oregon Web Solutions’s team prides themselves on their ability to adapt to clients’ requirements and deliver project objectives within the deadline. The Search Marketing Team is run by skilled marketing experts equally committed to each and every client. They create and execute innovative web solutions, incorporating the latest trends in the industry. Additionally, they create detailed reports outlining every step of the process. Offering great services at excellent rates, DelMain Analytics is the perfect SEO firm to grow your business. In addition, they’re open to all forms of communication and have outstanding customer support to bridge the gap between the client and the technical aspect of campaigns. Eris Creative treats every client as a partner, providing curated marketing strategies which redefine a brand’s web presence. Available for its clients on demand, Eris Creative delivers measurable results, as well as solid ROI. If you’re looking for a Portland SEO company with a broad reach, Northwest Media Collective is the way to go. Its team uses a versatile and customizable approach for every client, delivering proactive suggestions and smart strategies. Saturno Design is all about creating customized web solutions that live up to clients’ expectations. Working with Saturno means you will know what is happening at every stage of the project, and you’ll get fast, 24/7 customer support. Bonfire encompasses precise campaign development, distribution, and measurement to ensure clients’ goals are met and exceeded. The agile team builds strategies that leave a lasting impact and offers constant collaboration, as well as transparent communication. Anvil Media is one of the oldest and most recognized Portland SEO agencies. 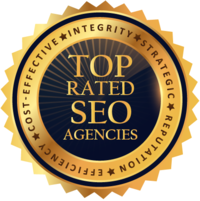 The team of professionals prides in their ability to understand and solve unique SEO challenges and consistently generate measurable results which meet and exceed clients’ goals. Feynman Group has been building its reputation on strong communication and quality campaigns. It focuses on providing consistently superior service, while staying committed to integrity and outstanding creativity. What’s more, its team keeps in touch during the entire process and beyond. Mike Munter is a small SEO company that combines unique SEO and web design services under one roof. Apart from their forefront strategies and techniques, they offer seamless communication and promptly deliver project objectives. WebRanking understands SEO challenges like you do. They offer cost-effective and tailor-made strategies adapted to the ever-changing nature of SEO. The final product is a results-oriented, effective campaign that ensures business growth. Peaceful Media is the ultimate source of creative business and brand development. Its team of passionate visionaries will become your best partnership, offering strategic solutions, as well as branding and direction. On top of that, all communication is consistent and fluid. Note: When it comes to finding the best SEO company, Portland has a lot to offer. However, you need to understand that SEO is global, and there are many good companies outside Portland as well. If you want to have a look, here are the best SEO companies in the USA and the list of the best PPC companies across the country. According to Teleport.org, there are 914 startups in Portland. These startups have attracted a total funding of $119,700,000 during the last 12 months. Portland is home to many established industry leaders. The city is situated on the northwestern side of the US and continues to grow. These are some of the reasons why Portland ranks at #9 on the 2018 Top 10 US Cities for Entrepreneurs and Startups list. Business.org favors the artsy culture of the city, as well as the affordable cost of living. The City of Roses ranks at #7 on Forbes’s list of the Top 10 Rising Cities for Startups. Forbes lists Jama Software, which raised $200 million in 2018, as a leader among the Portland-based startups. Local search is a huge thing, and having a site optimized for it is a no brainer. Google has helped provide $2.28 billion through advertising for publishers, businesses, and nonprofits. So if you want to get a piece of the cake, you need to choose your SEO partner. In the following section, we break down the best agencies specializing in SEO in Portland, Oregon—specifically, those that excel in local SEO, e-commerce SEO, and digital marketing services. 3/Thirds offers web design and digital campaigns, creating a meaningful web presence with an outstanding impact. The company’s team is experienced in working across different platforms and is ready to deliver just what clients need while staying within a budget-friendly frame. Exceptional design, outstanding consulting services, and custom web development are some of Typethink’s core specialties, and the company offers superior project management and communication. Suitable for businesses of all sizes, this is the best SEO company in Portland for a variety of clients. Founded in 2002, Watermelon Web Works has become one of the best Portland SEO firms by putting a lot of effort into matching clients’ business needs with unique web solutions. The company builds trust through good communication and delivers the best results possible. Run by an experienced team of visionaries, DemandPDX provides end-to-end services, which include web design, Commerce Cloud Integration Cartridges, and everything in between. They also provide comprehensive reporting and consistent communication, making you part of every step of the project. A Vibe creates and develops smart solutions catered specifically to its clients’ business needs, guaranteeing business growth. In addition to its unprecedented tools and techniques, A Vibe is one of the Portland SEO companies that offers unparalleled customer service and 100% honest communication. If we were to describe Epic Design Labs in two words, those would be reliable and authentic. This Portland SEO firm designs quality campaigns that highlight the strengths of your business to help you convert and reach a broader customer base. As one of the best Portland SEO service providers, Upsource combines forefront creativity with technical skills to build an outstanding online brand for every client. It provides a personalized and all-inclusive marketing approach, ensuring efficiency and a high ROI. This Portland SEO firm offers full-service brand building focused on enhancing the online presence of its clients. Its unique approach and cutting-edge technology ensure maximized ROI and improved search engine rankings. Fish Marketing is one of the premier Portland SEO companies. They succeed by creating integrated and innovative marketing campaigns that always deliver the right message to the right audience. They are ready to hear your challenges and objectives, and they always stay within the budget frame. We use our expertise in SEO and hiring SEO agencies to simplify the tedious task of finding the best SEO company. Based on contemplative research of the factors and processes involved in discovering the right SEO company, we have devised a methodology to help you easily choose the right one for you. © 2019 Seotribunal . All rights reserved.